Ronald Martinez/GettyLeBron James found his jumper in Game 3 of the Finals. The Cleveland Cavaliers pulled off a dominant, 120-90 Game 3 win over the Golden State Warriors Wednesday night to move the NBA Finals to 2-1. The Cavaliers appeared to finally find their rhythm on offence, as four players scored in double-figures, led by LeBron James’ 32 points. Perhaps the most encouraging part of James’ bounce-back performance was his jump shot finally finding the net, as he’s been mired in shooting struggles nearly the entire year. While James’ scoring stats this season were right in line with his career numbers, he shot just 31% from three-point range, the second-worst figure of his career. 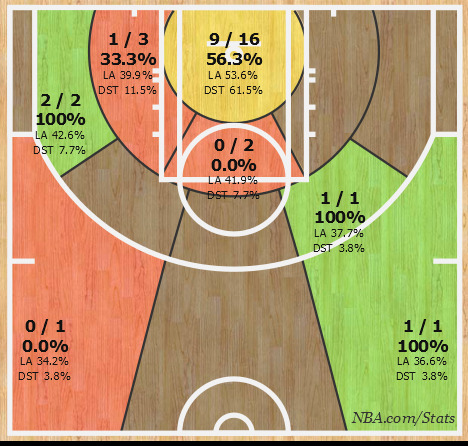 He also saw his midrange jumper betray him this season, as he hit just 34% from 10-16 feet out, his work mark in six years. In Games 1 and 2 of the Finals, LeBron shot 42%, well below the 53% he’s averaging in the postseason. His unreliable jumper has hurt the Cavs in the Finals. On pick-and-rolls, the Warriors defence often drops under the screen, daring James to shoot. He can work his way into another shot by calling for another screen, but it brings the offence to a halt as he pummels his way closer to the basket. And when James is off the ball, defences sag off of him, clogging the lane for other Cavaliers players when they drive to the rim. In Game 3, that all changed. James shot 14-of-26, and though he only took two three-pointers, making one of them, he hit outside jumpers that proved critical to opening up the Cavaliers offence. A look at James’ shot chart shows that he actually had more success from distance than he did in the paint. While James only took five shots from the perimeter, it’s imperative that he makes those looks. If the Warriors have no choice but to start respecting his jumper, then they can’t sag off of him to provide more help on other players. Additionally, James has the speed and power to blow by defenders who defend him tightly to deny his jumper. LeBron first got his jumper going on a few pull-ups off the dribble. Notice how Andre Iguodala, despite contesting the shot, still gave James a lot of breathing room on the actual jumper. Then, after canning a few outside shots, the Warriors played up on James. Here, Draymond Green crowded James, only to have James blow by him off the dribble. One efficient game from the perimeter doesn’t mean James has rediscovered his stroke. Importantly, James caught fire in Game 6 of the Eastern Conference Finals, as the Cavs closed out the Toronto Raptors, only to go cold again in Games 1 and 2 in Oakland. But Game 3 could be a good omen for the Cavs if James feels confident in his jumper once again. Home court can be important for teams simply for their comfort level and confidence — teams often shoot better at home than on the road. If James can continue hitting jumpers, by the time the series goes back to Oakland for Game 5, he may finally be in rhythm. The Warriors likely won’t overreact, defensively, to one game. 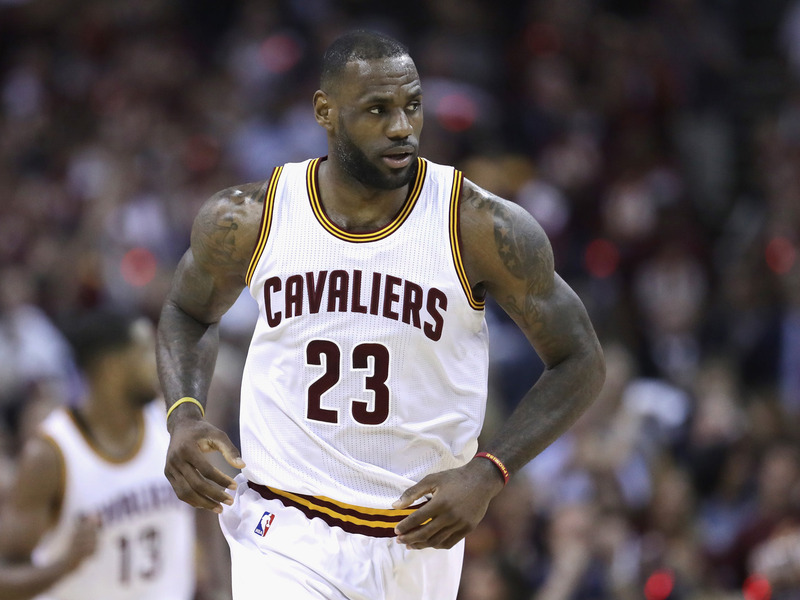 It will be up to LeBron to continue knocking down those jumpers in Game 4, and if he does, expect to see the Cavs offence open up once again. And if the Cavaliers get rolling again, we could have a series on our hands.